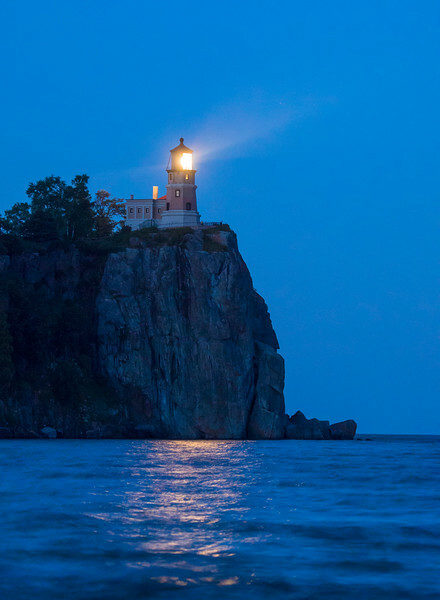 Last weekend Split Rock Lighthouse State Park held an event to celebrate the anniversary of the beacon lighting. 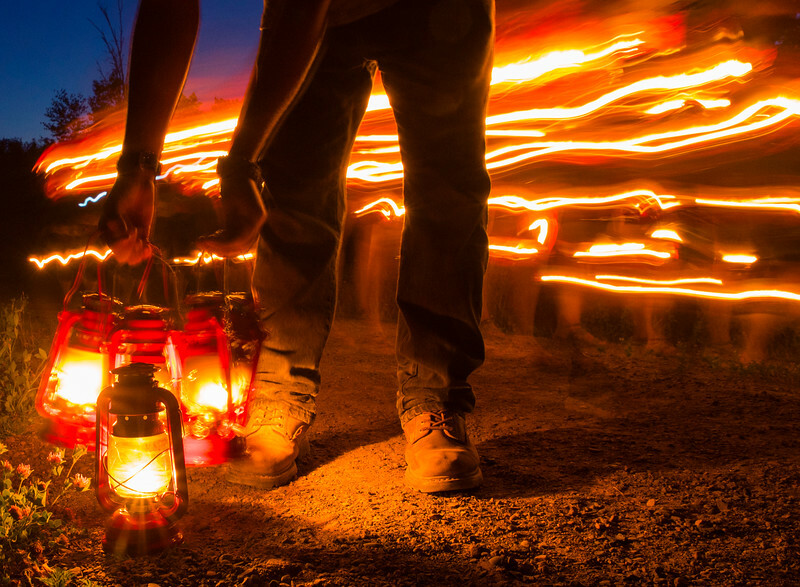 It included lighting the trail from the visitor center to the island with lanterns along with interpretive stops along the way. 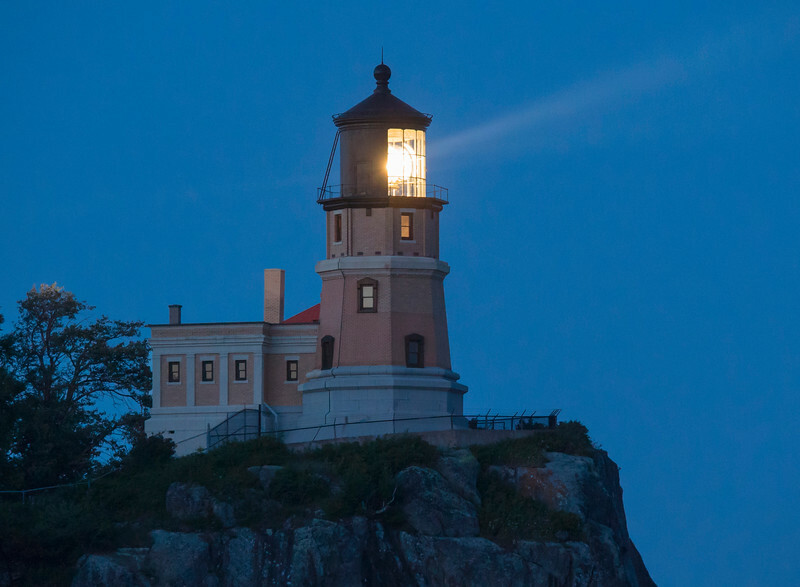 The light was on from 8:30 pm to 9:30 pm. 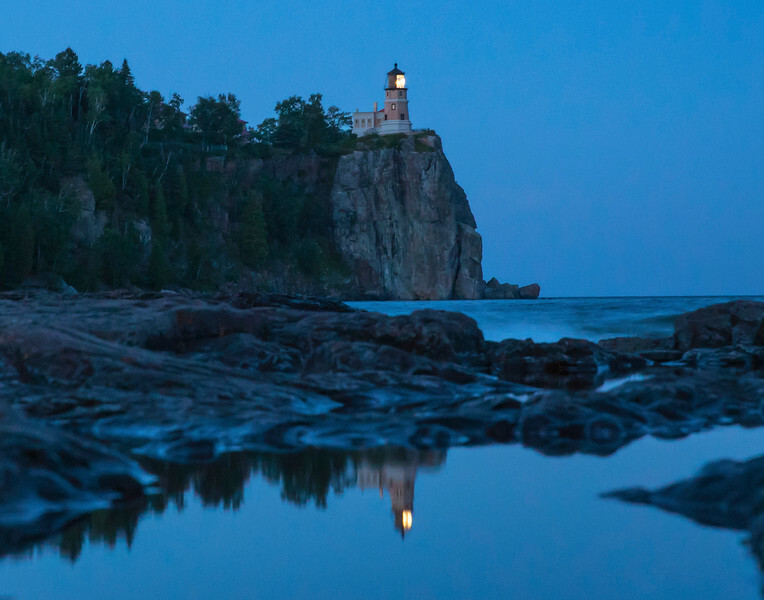 I placed the camera on the rocks to photograph the lighthouse reflected in the pool of water.